This December marks the 20th anniversary of New Zealand’s team gold medal win at the Endurance World Championship. The event was held in Dubai, despite the World Equestrian Games being held in Rome in October of that year. WEG was originally meant to be held in Dublin, Ireland. But due to bad luck and organisational problems, with only one year’s notice it was moved to Rome. The 1998 WEG has been New Zealand’s most successful so far. As well as our Endurance team gold, our Eventing team also won team gold with Blyth Tait and Ready Teddy winning individual gold and Sir Mark Todd riding Broadcast News, winning individual silver. 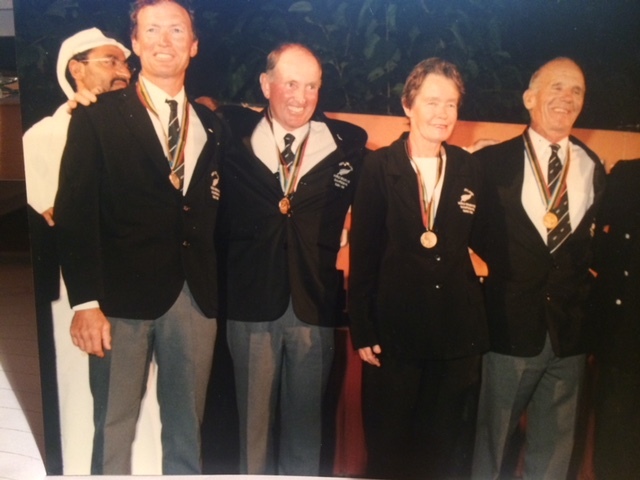 Six of New Zealand’s finest Endurance combinations travelled to Dubai that year, Alan McCaughan and his mount Tonka, Jenny Hearn and Simba, John Stevenson riding Taralea Raja, Kevin James on homebred Glendaar Sarita, Ainsley King and her mount Malik and Ray Tylee with Minstral. The latter two combinations rode as individuals but unfortunately both failed to qualify. Also accompanying the team was a host of top quality strappers and crew, Chef d’Equipe Peter Herrick and Team Vet Tony Parsons. 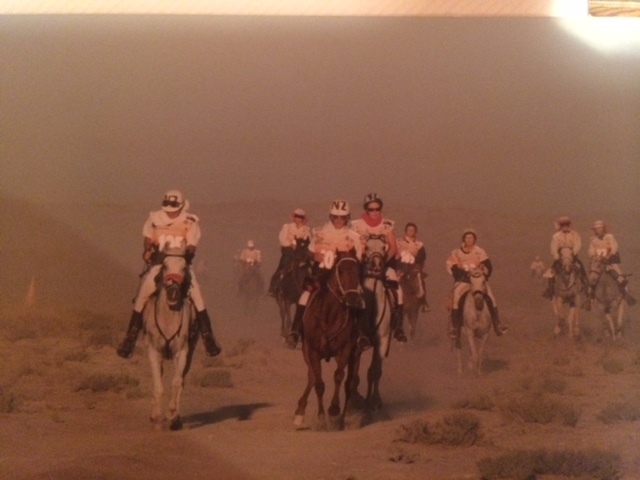 Preparing horses for riding in desert conditions was not easy here in New Zealand but the team did the best they could. Luck would be on their side as much as possible, it was a hot spring so they rode during the hottest part of the day until the horses left the country. John said he cut out farm work all together and rode along forestry fire breaks or the side of the road. This helped cut out the small breaks which come when opening gates or moving around stock, which is not something they were likely to come across in Dubai. All six horses travelled to the United Arab Emirates together with Team Vet Tony Parsons, John Stevenson and Kevin James on board. It was a rough trip, turbulence was not kind to some of the horses but they all arrived safely late in November, approximately 3 weeks before the event. Now days Jenny Hearn and Alan McCaughan are both in their 80’s and retired. They both live in the Bay of Plenty and will often catch up with John Stevenson who lives in Reporoa. John still rides horses in treks and although he no longer competes in Endurance he is heavily involved in our sport as a qualified Endurance coach. Kevin James, living in Otago, still rides competitively and trains horses, one of which won the 160km National Championships earlier this year and went on to be selected as part of the Australian World Equestrian games team.